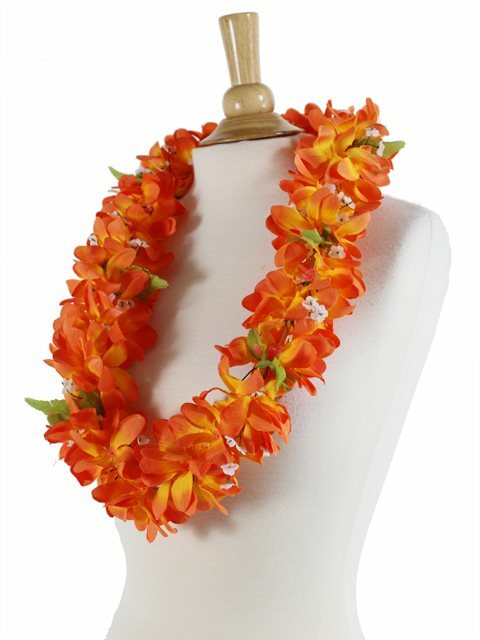 AlohaOutlet proudly presents you beautiful artificial flower leis. Our leis have great detail such that they look quite real. These leis can make a great gift for any celebratory event, such as birthdays, weddings, graduations, and promotions. Purchased Item: Orange&Green Alii Nani Premium Ilima & Maile Wrap Lei 60"
The ilima flower part of this lei is very nice, nice color, the petals are full and the lei is full. However, the maile leaf is thin, small and too plastic looking. The maile leaf part of it needs to improve. Beautiful and great quality, can not beat the price.